When you are busy and stressed it is so easy to eat badly. Grabbing a takeaway or relying on a series of hurried, unhealthy snacks is all too common when life seems to consist of moving from one whirlwind activity straight into the next. 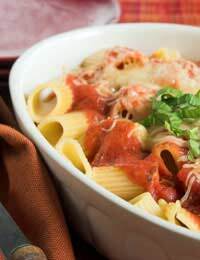 These home-cooked meals are quick and easy to prepare. As well as being ideal to whip up on the spot after a quick shop or rummage through your cupboards to see what you have to hand, they also freeze well. This means they can be divided into portions, frozen in containers and then pulled out again when needed to be zapped in the microwave. Follow this recipe using pretty much anything you have in your vegetable draw or rack. Carrots, onions, courgettes, leaks and peppers work particularly well. One staple that it’s always worth keeping in your cupboard is a tin of tomatoes. These can be thrown into this vegetable pasta dish and any number of other hastily prepared but delicious meals. Put your pasta on to boil. Chop your onion and crush your garlic. Chop or grate your other veg – carrots work well when grated. Fry your onion, garlic and other vegetables in the olive oil, stirring all the time, until browned and soft. Then turn down the heat and tip in your tin of tomatoes. Break the whole tomatoes up a little with your wooden spoon. Stir well, add your basil and seasoning, then leave to simmer for five minutes. Drain your pasta then tip into your sauce. Stir it all together, then pour the whole thing into an ovenproof dish and grill for five minutes until bubbling and golden brown. Remove from the heat and serve. This is another tasty recipe that is simple and fast to prepare. Buy thin strips of beef that will fry quickly. MethodPut your quick cook rice on to boil. Follow the instructions on the packet and ensure it does not get too soft. Heat your olive oil in a pan and gently fry your beef. When the beef is almost browned and thoroughly cooked all the way through, add your chopped onions and mushrooms. Turn down the heat, season, cover the pan, and allow to cook for a further five minutes or so. Then add your paprika and cream. Stir in and remove from the heat. Serve your stroganoff with your rice. If you plan to freeze a portion or two of your meal, put rice at one end of the portion container and stroganoff at the other.